The 61st Annual Grammy Awards ceremony will be held on Sunday February 10, 2019, at the StaplesCenter in Los Angeles . Pop and R&B legend and fifteen time Grammy winner, Alicia Keys has been announced as the host of the 61st Annual Grammy Awards. The ceremony will recognize the best recordings, compositions, and artists of the eligibility year, from October 1, 2017 to September 30, 2018. 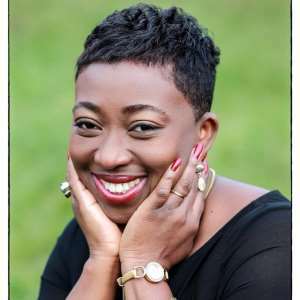 The stakes are high for the several nominees that were announced on December 7, 2018, with each hoping to grab an award on the night as per their engagements on social media. Dolly Parton is scheduled to be honored as the MusiCares Person of the Year two days prior to the Grammy Awards on February 8, 2019. And on the same day, a media event for live interviews with Grammy nominees, Hollywood celebrities and other important personalities and industry professionals will take place. 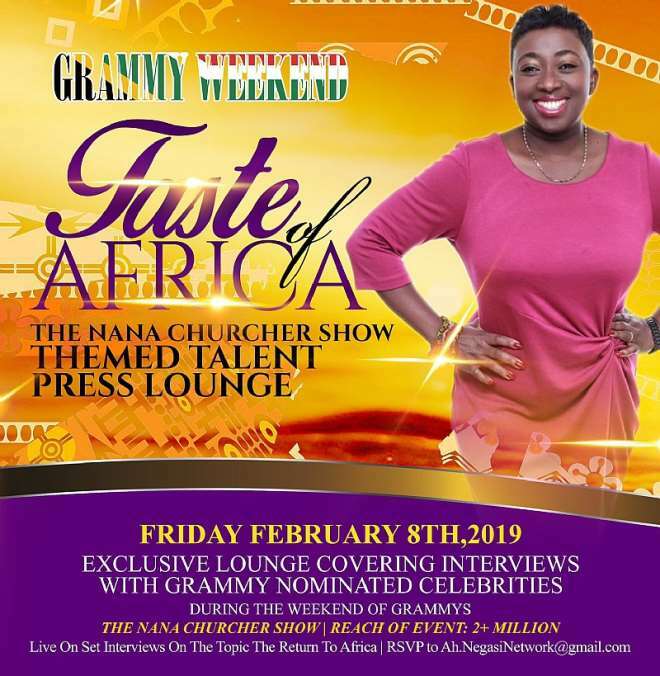 This event will be hosted by the multiple award winning talk show host and motivational speaker, Nana Churcher as a special edition of the popular television talk show, “The Nana Churcher Show” in Hollywood Boulevard to celebrate the 2019 Grammy nominees and create an opportunity for media engagements. The invitation only event will be produced by Los Angeles based Celebrity Publicist and Event Planner, Ericalane Brown who has over the years used her passion, natural talent and ability to create custom “Lifestyle Brands” for some of the leading entities across the United States. Ericalane Brown will be teaming up with celebrity event organizer, Ajani Negasi of AH’NEGASI Network to execute the event. Speaking about the event, Nana Churcher said “it promises to be a great event more especially after the amazing feedback we have been receiving after the official announcement was made. Last year, I hosted the Nana Lounge during the Grammys, which was a huge success. This event will serve as a pre Grammy party and also offers various brands the opportunity to interact with celebrities, bookers, producers, editors, bloggers and writers. The event is also in line with the government of Ghana’s Year of Return agenda to make Ghana the focus for millions of African descendants reacting to their marginalization by tracing their ancestry and their identity as well as the country becoming the beacon for African people living on the continent and the Diaspora”.